Dancing at the Lu: In the Moving Images 2017 show, choreography class students present “Impacts,” choreographed by fellow student senior Nadine Abukhzam. Photo courtesy of Elizabeth Gentile. Four years ago, seniors Elizabeth Gentile, Victoria Smith, Nadine Abukhzam and K’Yanna Wesley couldn’t have predicted that they would be the first students at California Lutheran University to graduate with a dance minor. They were just students who had a passion for dance, but they are now proud to have turned that passion into legacy. “I feel like we’re pioneers and advocates for dance at Cal Lutheran, so it feels good to inspire others to pick up the dance minor as well. We’re making history, and it’s always gonna feel great when you make history,” Wesley said. For a long time, the only outlet for dancers on campus was the dance team, which requires hours of hard work that students do not get credit for, said Barbara Wegher-Thompson, a theatre department dance professor. With the dance minor, there are additional classes for dancers to take. Gentile, who started dance club at Cal Lutheran last year, noticed during her time studying abroad in England that American school systems list dance under physical education, while in the United Kingdom and Europe it’s considered an art. Wegher-Thompson said that in many societies, dance is a vital component of one’s culture, and this is one of the aspects of dance she is trying to incorporate within the dance minor. “Before it was an art and before it was just an audience watching someone else dance, it was very participatory. In every culture it emerged in some way related to religion, and in many cultures around the world, it still does,” Wegher-Thompson said. Gentile studied dance research in London and completed her dance minor there. Being in a foreign culture, she said she could note the differences in perception of dance between the UK and the US. “I took ‘Dance, Culture, and Society,’ and we looked at dance that creates political conversation, dances from different cultures and how that is still relevant today, and we talked about your purpose as a dancer and how you’re influencing the world,” Gentile said. 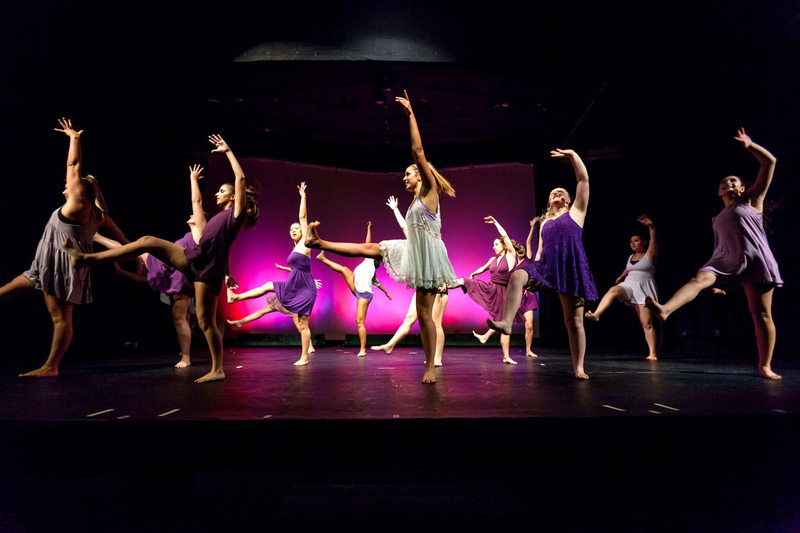 Dancers from Cal Lutheran will be attending the American College Dance Association Baja Conference 2019. ACDA is a national organization whose purpose is to support dance programs in higher education. The regional conference, held at the University of California, Irvine from March 28-31, allows dancers to express, discuss and explore different aspects of dance, according to the ACDA website. At this event, both students and faculty will get the opportunity to attend dance classes and seminars, present research or choreography and have self-choreographed works judged by a panel of professional choreographers. Gentile said the opportunity to attend ACDA means a lot to her because it shows that dance is “so much more than the performance and entertainment.” Her choreographed piece was chosen to be judged at the conference. “This [conference] is purely just dance as an art, and it’s a celebration of you as an artist and your school’s art programs,” Gentile said. Similar to previous years, the theatre and dance department will be sending 18 students, two faculty members and three student-choreographed works to the conference. Two of the student works will be critiqued by a panel and, if chosen, will be honored in a Gala concert at the end of the conference.